But after this year’s unusually hot and dry summer, it seems you’ll be lucky to still have any apples left on your trees by now. 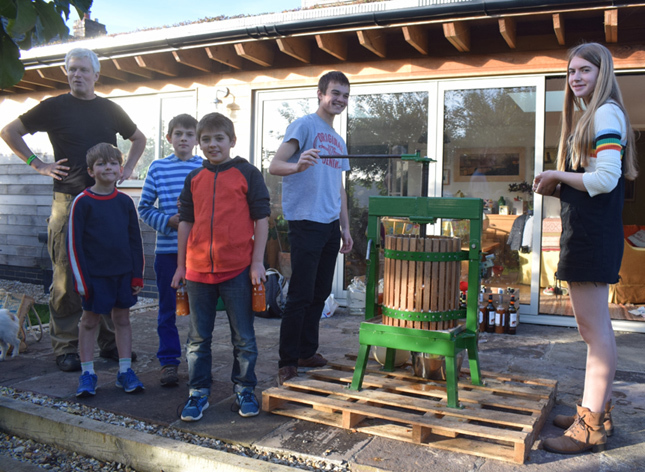 Followers of this blog will already know there is nothing we like more at The Secret Acre than a good apple celebration, from pressing to wassailing. We pressed in the rain. And we pressed in the sunshine. 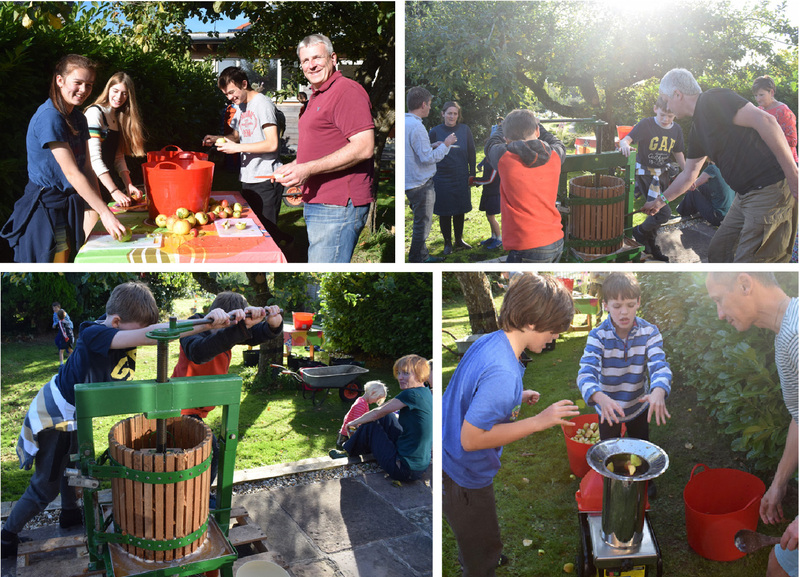 So with the apples dropping early this year, we once again enlisted as many friend’s children as we could find for three weekends of apple pressing fun across September and early October, for this year’s supply of pasteurised juice and cider. This entry was posted in Orchard and tagged Apple Day, apple juice, apple press, apples, cider, cider making, Emma Alesworth, Paul Rainger, Smallholding, The Secret Acre by paulrainger. Bookmark the permalink.